He was the Founding Executive Director of CCSI (previously the Vale Columbia Center on Sustainable International Investment) until February 2012. 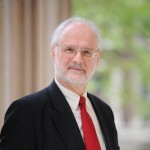 While in this role, he launched the Yearbook on International Investment Law and Policy, the Columbia FDI Perspectives, the Columbia FDI Profiles, the annual Columbia International Investment Conference, the Investment Law and Policy Speaker Series, and the Emerging Markets Global Players project. He teaches a seminar on FDI and public policy and has published widely in the international investment area. Until October 2011, he was also the Co-Director of the Millennium Cities Initiative at the Earth Institute, responsible for helping African cities attract investment. Prior to his time with the CCSI, he served as the Director of the United Nations Conference on Trade and Development's (UNCTAD’s) Investment Division, the focal point in the UN system for matters related to FDI, as well as a major interface with the private sector. While at the UN, he created the prestigious annual World Investment Report, of which he was the lead author until 2004. In 1992, he founded the journal Transnational Corporations, serving as its editor until 2005. He provided intellectual leadership and guidance to a series of 25 monographs on key issues related to international investment agreements, which were published in 2004/05 in three volumes. Together with Prof. John H. Dunning, he edited a 20-volume Library on Transnational Corporations (published by Routledge). His name is associated with a great number of United Nations publications on FDI over his three decades of service in the UN. He holds a Bachelor's equivalent from the Freie Universitaet Berlin (Germany), a Master's degree from the University of Pennsylvania, Philadelphia, and received his Ph.D. degree in 1975 from the University of Pennsylvania.